When asteroids are coming to destroy the Earth, humanity relies on the Asteroid Fighters to save the planet. 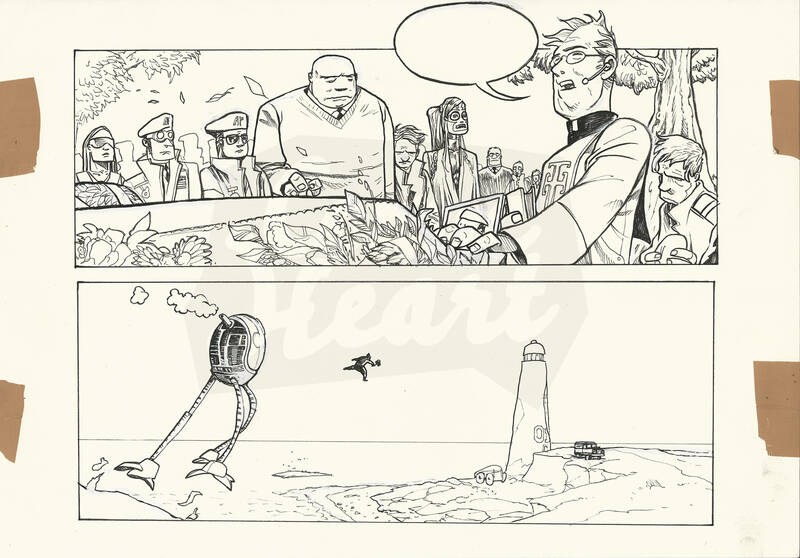 In this page, Pepito's partners leave the funeral and rendez-vous at a lighthouse. These are the original pencils and inks for the third part - of three - of the 43rd page of the book which has an A3 (29.7 x 42.0 cm / 11.7 x 16.5 in) sized format.